Where is, or What is, Hnsg.net? Hnsg.net was a UNIX and Linux support community that was founded on December 30th, 2001. 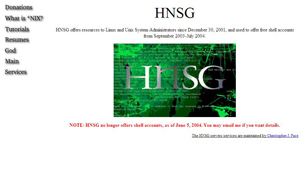 In addition, Hnsg.net offered shell accounts from September 2003, to July 2004. 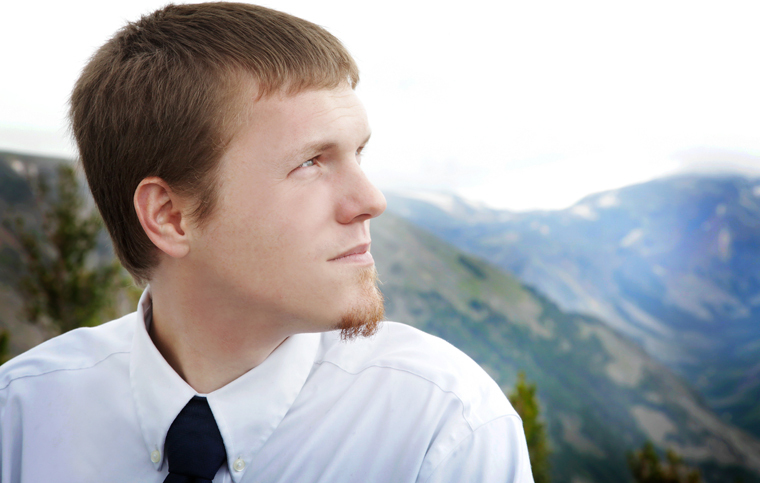 Hnsg.net provided free technical support to Linux and UNIX administrators and users, and also provided free tutorials. Since mid 2006, I was the only member of Hnsg.net left (as it turns out, not many people like to give their time away). Since I was also the founder (and had grown quite fond of my email address), I never let the domain expire. However, I had to put something up here (to let people know that free shell accounts and technical support is not available), so what you see today is what Hnsg.net is- nothing more than a vanity domain. Feel free to browse this website- the tutorials published to Hnsg.net are now re-hosted at Linuxconsultant.info, and more information on Open Source projects that I have either contributed towards or created is available on the Linux Projects page.